Browse through all the underwater photos on this site below, or pick a category on the right. Well, this is one way to make 'em pose... keep them on the line! This one settled next to the camera pretty nicely as soon as I let off the tension. Same male dwarf dolly as in this picture and this one. 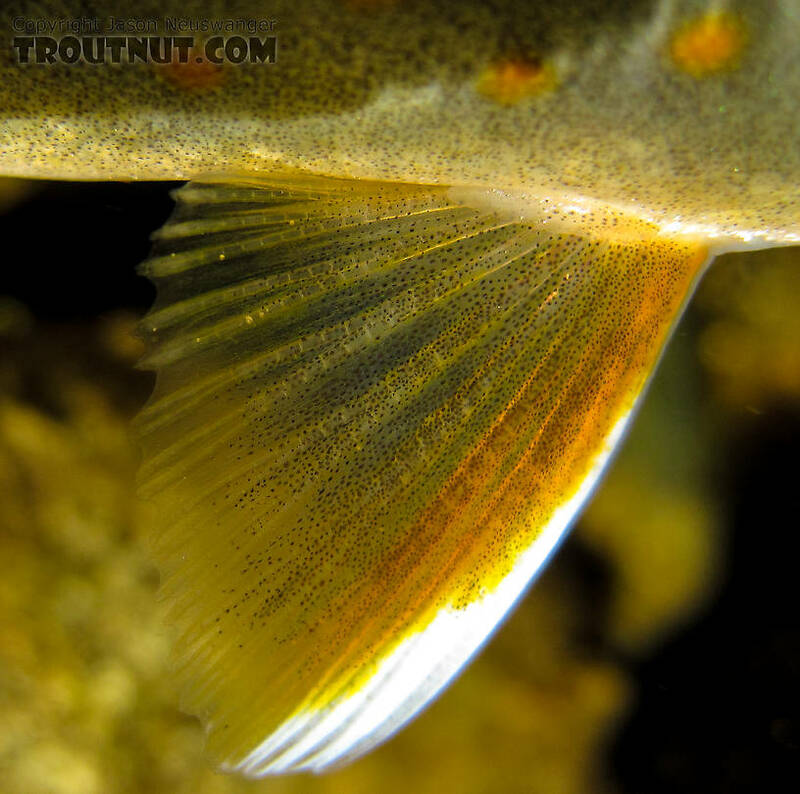 Closeup of the pectoral fin of this dwarf dolly varden. 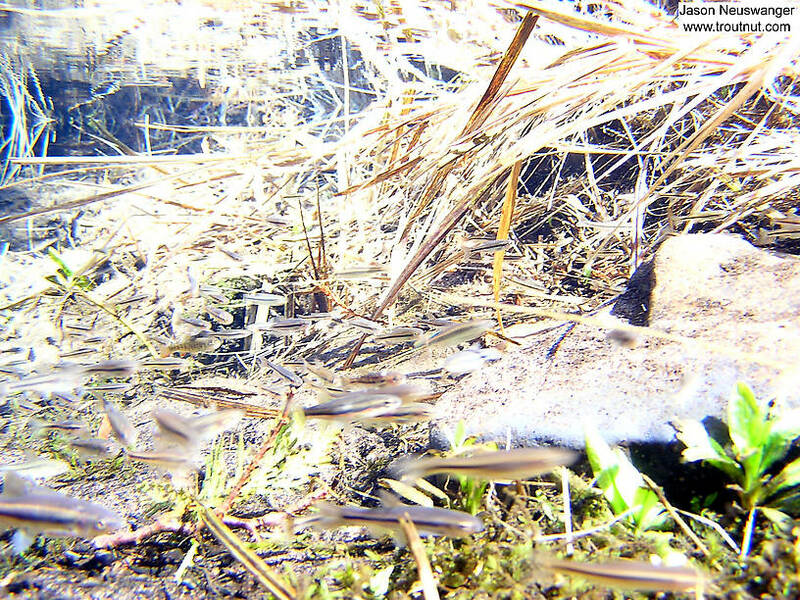 Can you spot the brook trout in this picture? This is a good example of how they seek cover when a danger (my camera) approaches. 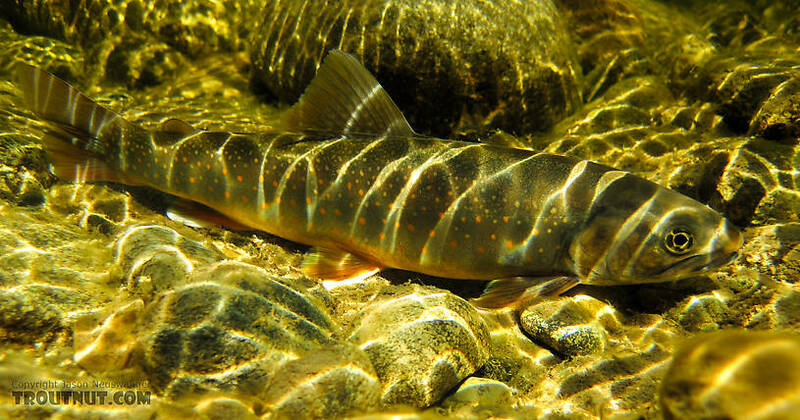 This is my favorite picture of this school of brookies. Notice there are a few other fish mixed in, minnow family mostly. 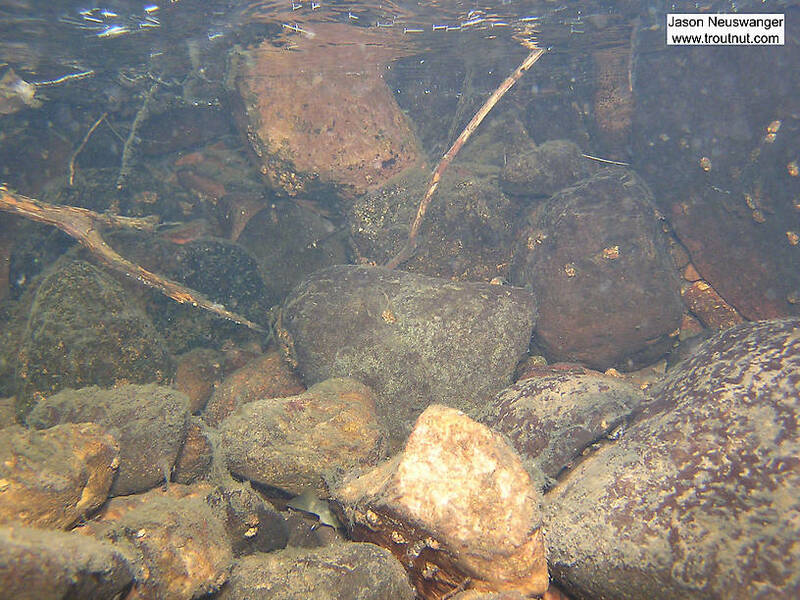 Near the bottom right there's a really big brookie. 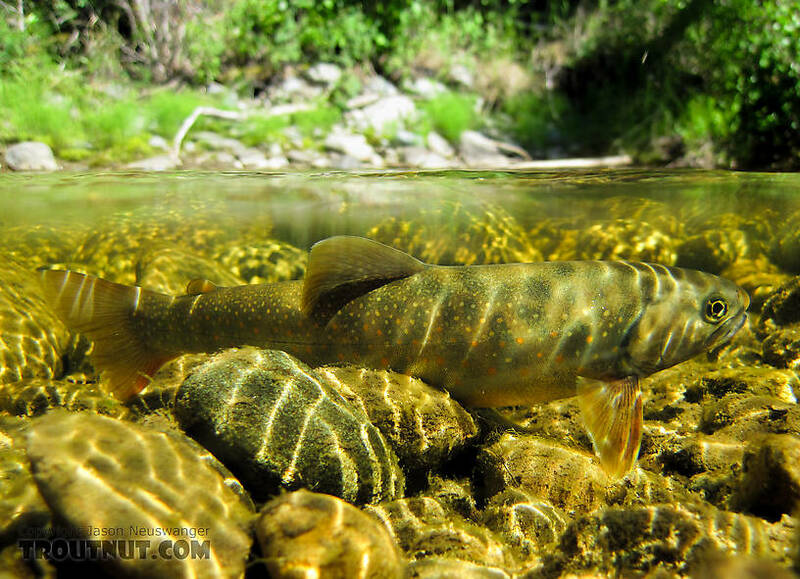 These trout were densely schooled up near a major spring source during the dead of winter. 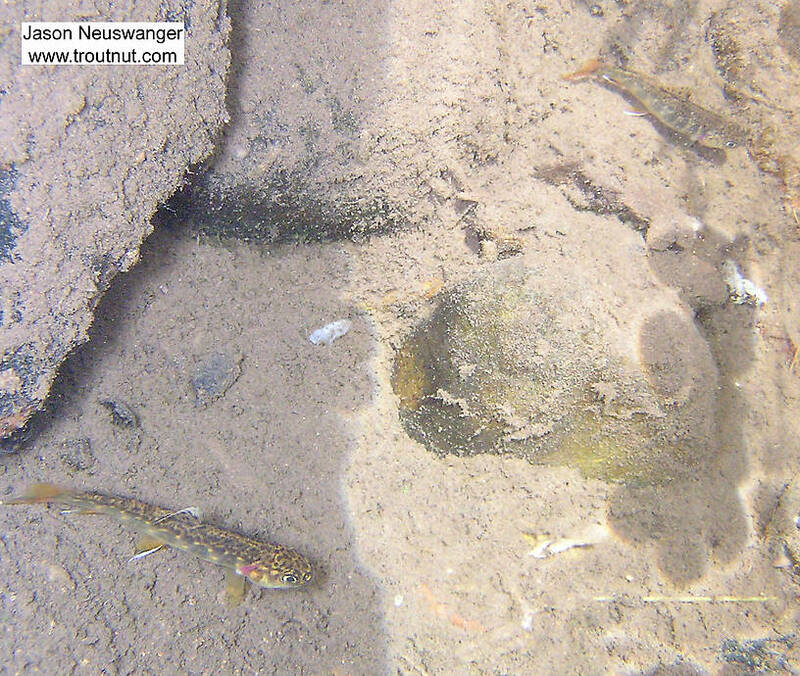 Two young of the year brook trout hide in a little spring hole in a remote, crystal-clear small stream. 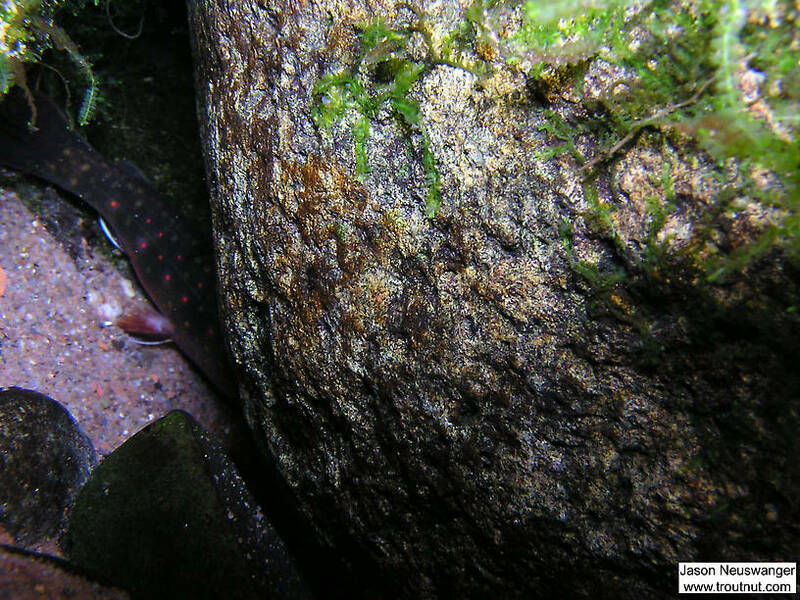 A 4 inch brookie hides from the camera behind a rock under a cut bank. 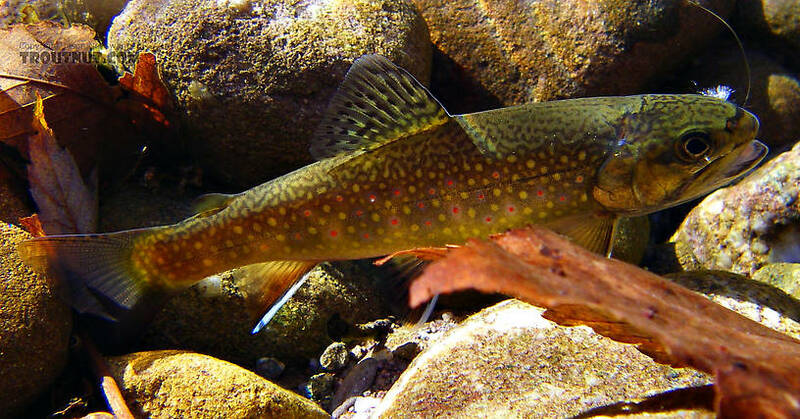 There's one small brook trout running with this school of minnows at the head of a crystal clear spring.